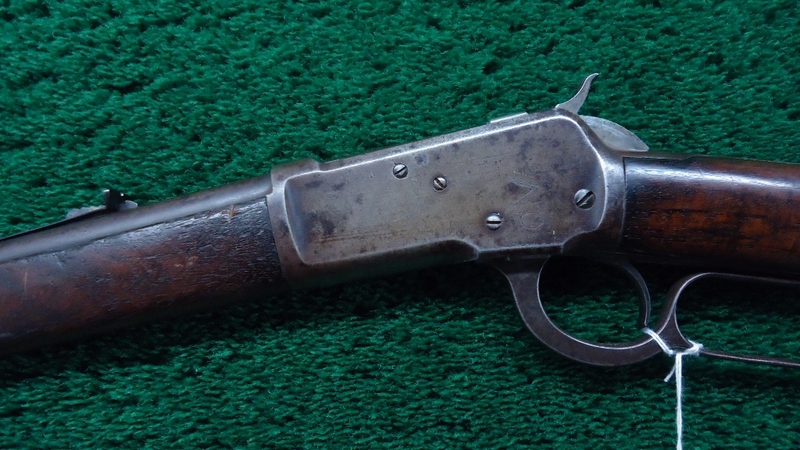 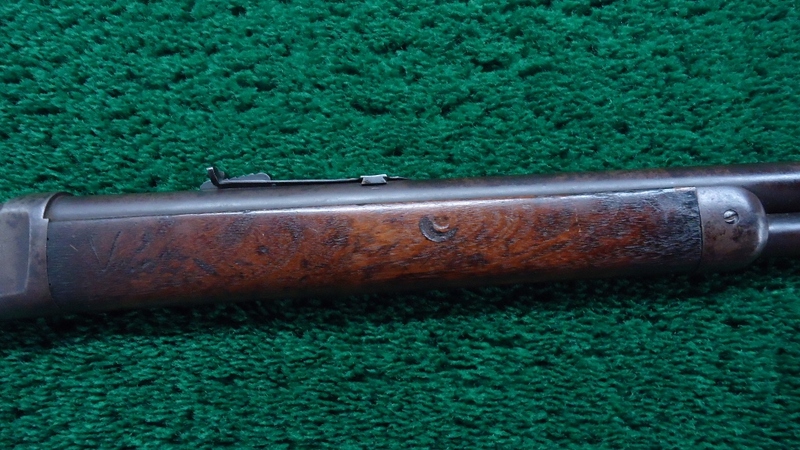 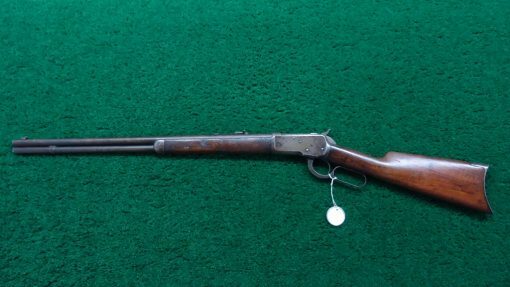 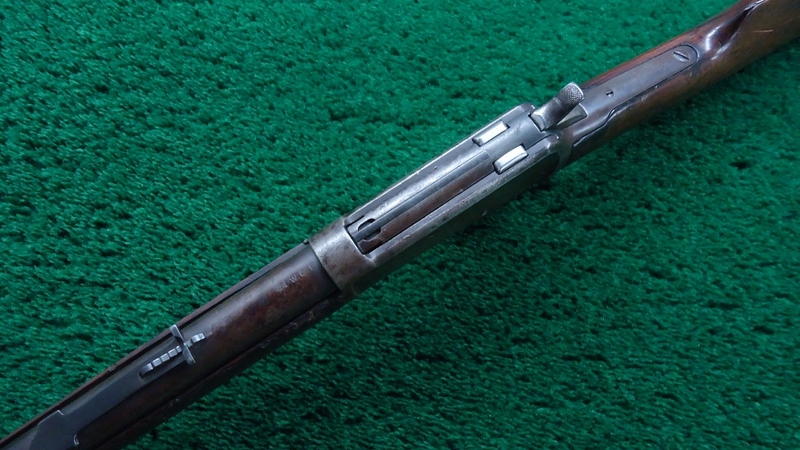 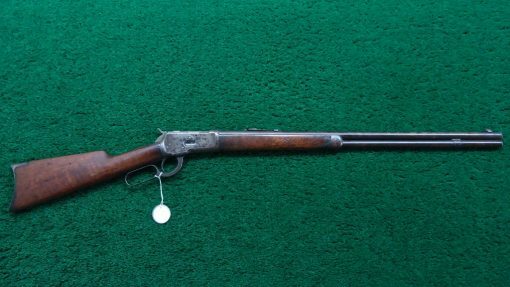 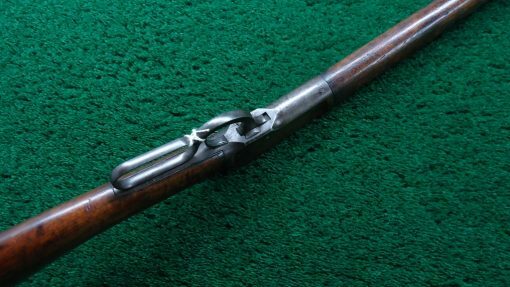 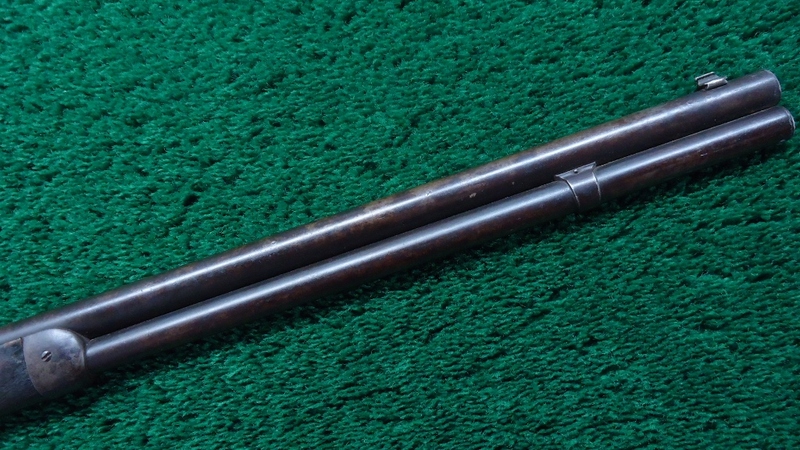 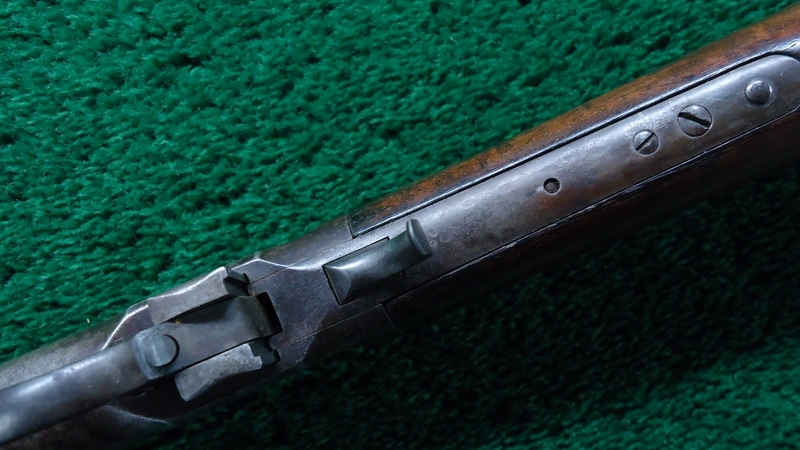 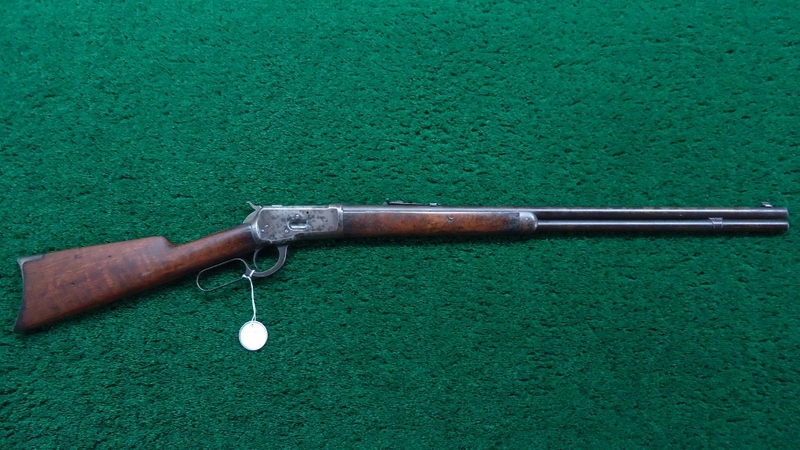 This Winchester is equipped with a 24 inch round barrel and full length mag tube. Crescent buttplate. 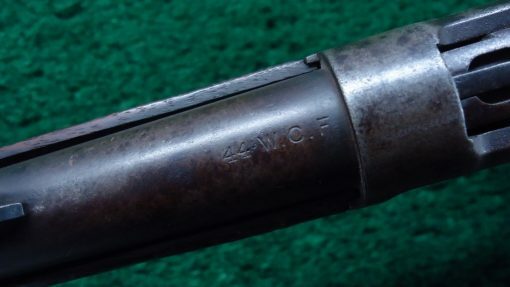 Desirable 44 WCF caliber. 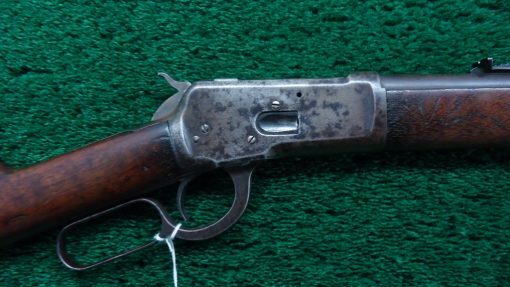 Serial range on this 1892 is just under 200k. Receiver is the pretty normal brown/grey patina with possibly initials lightly scratched in on the left side. 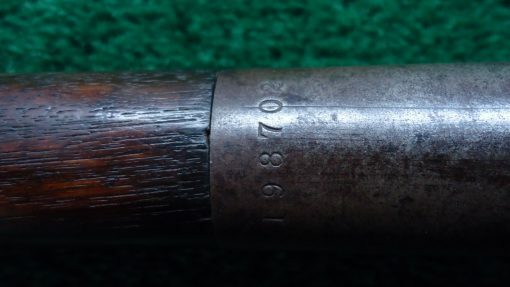 Barrel has pretty much browned out to an antique patina. 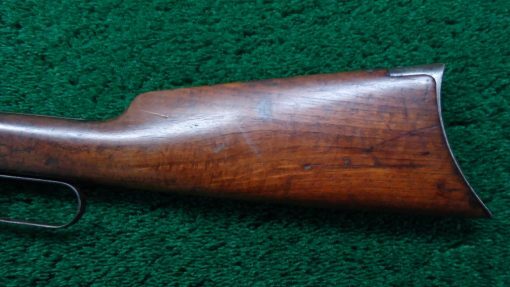 Buttstock is in VG condition. 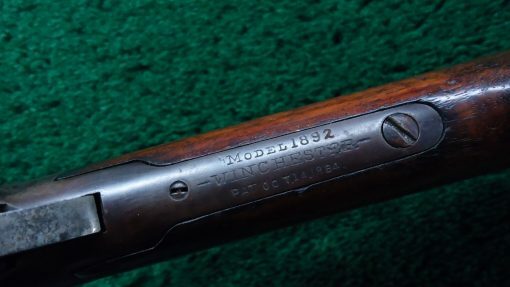 Nice fitting. 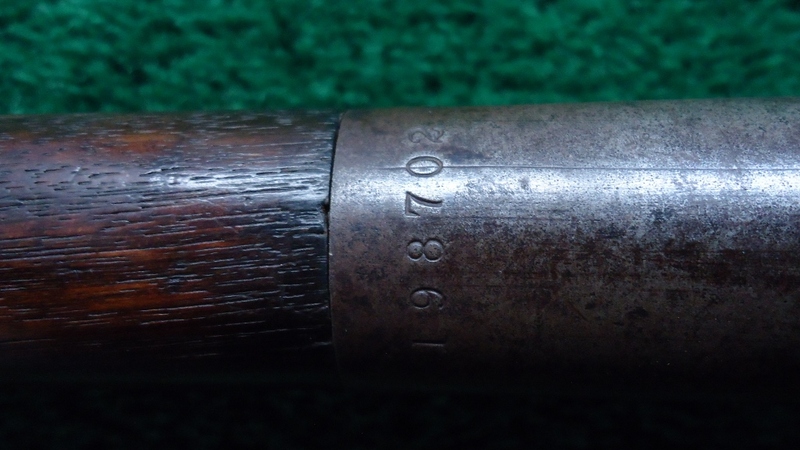 Forearm I would say is in good condition with a couple of dings. 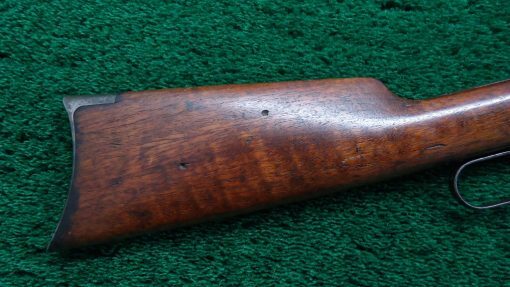 Slightly shy at the forearm cap. Action is nice. 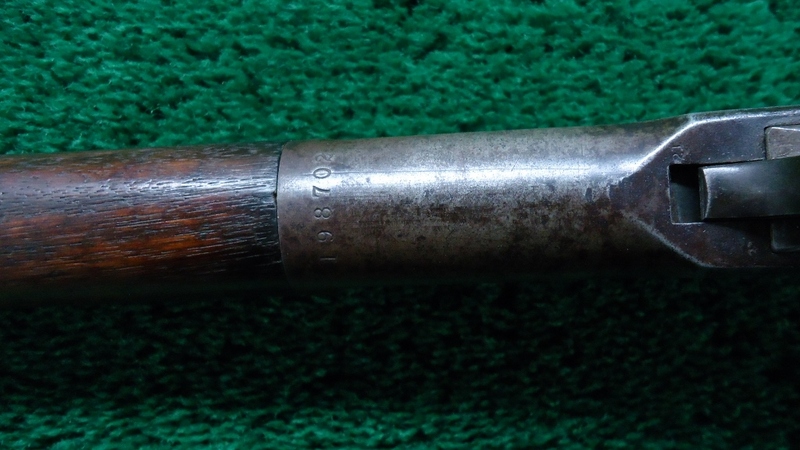 Bore is somewhat shiny with scattered pitting.